News – Martian Monkey – Apps and Games for IOS and Android. ALPHA SQUADRON has launched and is currently available on Google PLAY and the Amazon App Store! 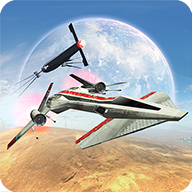 Jump into your Elysian Starfighter and get ready to take on Hadian warbirds, Dropships armed to the teeth and gigantic battleships!